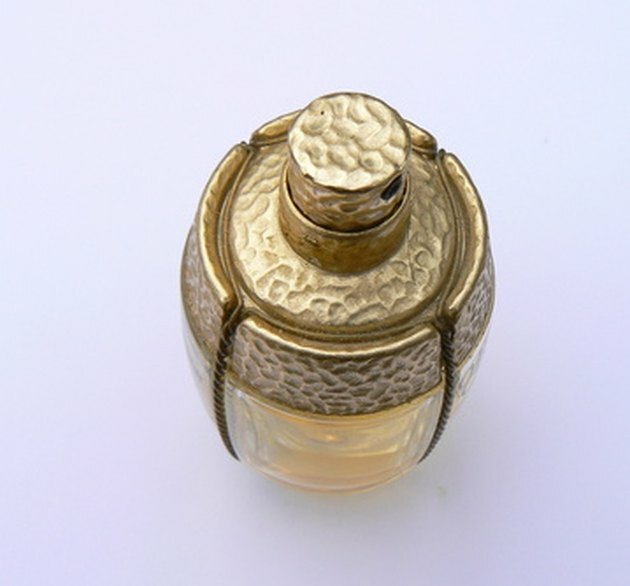 Perfume bottles are often so beautiful that when the perfume is gone, they are kept and displayed as decorative items. If you are interested in using old perfume bottles for decoration or craft projects, you may not want the old fragrance wafting throughout your room. Removing old perfume fragrance from a perfume bottle is done much in the same way as you remove too much perfume from your skin so you don't overpower anyone's nose. Use home supplies to remove fragrance from an empty perfume bottle. Protect your work surface from oily perfume residue and cleaning agents with newspaper. 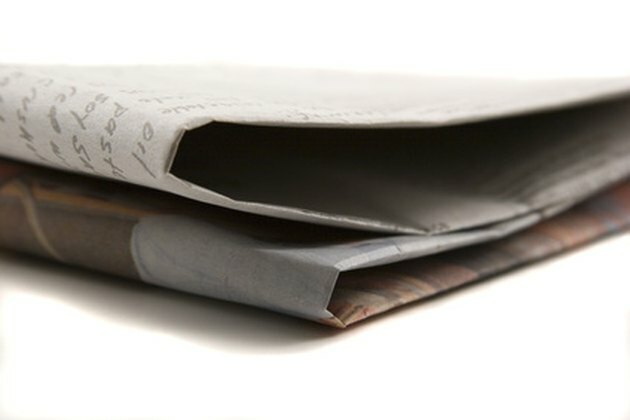 Lay newspaper on your work surface to protect it from any spills. Empty out any remaining old perfume from your perfume bottle into the sink and set the bottle on the newspaper. Remove the perfume smell from your perfume bottle, inexpensively, with rubbing alcohol. Pour straight rubbing alcohol into the perfume bottle and replace the cap or lid. Leave the rubbing alcohol in the perfume bottle overnight. Pour out the rubbing alcohol, then drop 1 drop of mild hand dishwashing liquid into the perfume bottle and fill it with water. Replace the cap and shake the bottle to mix up the soapy solution and wash out the inside of the perfume bottle. Rinse the perfume bottle with warm water until all the soapy solution is gone, then air dry your perfume bottle with the cap off. Substitute vodka for rubbing alcohol, if you prefer. Fill your perfume bottle with vodka and allow it to sit, closed, overnight. Wash out your perfume bottle the next day, rinse and air dry. Slice up three or four fresh lemons and squeeze the juice of all the lemon slices into your old perfume bottle. Seal the cap on the perfume bottle and swish the lemon juice around. Leave the lemon juice in the perfume bottle overnight. Pour out the lemon juice and wash out your perfume bottle with a soapy solution. Rinse well, then air dry. Lemon juice is a natural deodorizer and the smell of the lemons will dissipate, as well, when the bottle dries.